Click on the question you want answered and find out more. Because we’re part of a big player, with a start-up soul. We work on three amazing brands, have a place in the FTSE 100 and more opportunities around the world than ever before. Yet we haven’t lost our entrepreneurial spirit and we’re constantly creating new tech, new products and new ideas. The pace of change is exhilarating. And the exposure to senior managers and different working cultures is non-stop. Where else can you get all that? ‘What’s next?’ It’s our favourite question. We’re always looking for ways to be better, to be different, to explore new possibilities. When priorities change, we adapt. When we’re up against it, we pull together as a team. And when we’re solving problems, we come up with bold new ideas. There’s a real sense of liberation in working for an international company with big business creds, that’s not hemmed in by corporate constraints. With us, you can be yourself, developing your ideas, shaping your own career direction and even defining your own rewards. What does it take to be successful at Blip? The quick-thinking and tenacious have real success here at Blip. If you can dream up bold new ideas and make them happen, you’ll go far. And without traditional corporate constraints, your future can be what you make it. Following our values is also a wise move. What are they? A relentless will to win. A low ego. A spirit of collaboration. Integrity. And agility. What does diversity mean at Blip? Talent doesn’t come from just one place. We know that diverse teams outperform ones where everyone’s the same. Plus they’re more fun. And more interesting. That’s why we’ve got a whole range of initiatives in place to make sure we have a really inspiring mix of people working at Blip. Our multinational, multilingual team has representatives from all over Europe and beyond. Here’s a top tip for you: you can apply for any number of roles at once. We’ll automatically attach your application to each position you apply for. And, if our recruitment team feels you’ve got what it takes to make it in another role, they’ll get in touch to see if you’d like to learn more. By submitting an online application, you’re agreeing that your details can be used by us during the recruitment process. If you get the job, we’ll use your details to form your HR record. If you’re not successful in getting the position, we’ll keep your details for up to two years, so we can consider you for other roles. 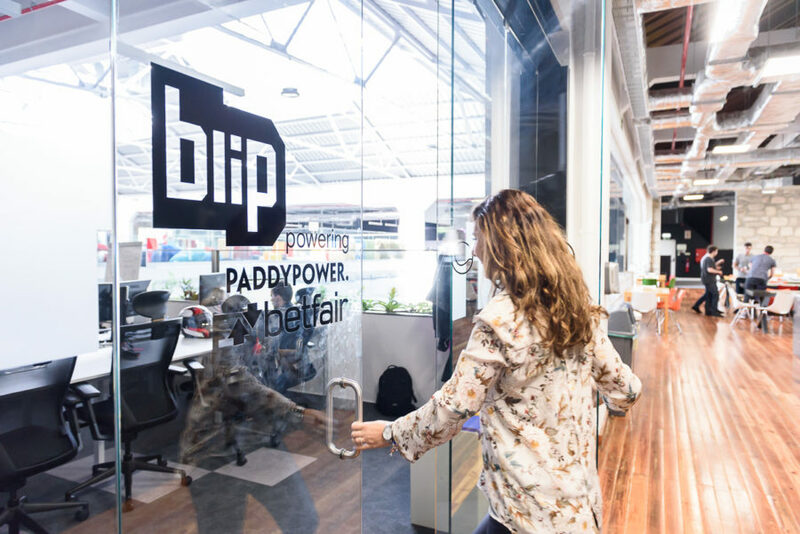 If you’re someone who’s driven, adaptable and thrives on challenging opportunities, you’ll be sure to have a great career at Blip. This isn’t a place where career paths are set in stone. But we will empower you to succeed, exposing you to new areas, ideas and opportunities across the business. We provide a learning framework and invest in great development programmes. But then it’s up to you to own your future.